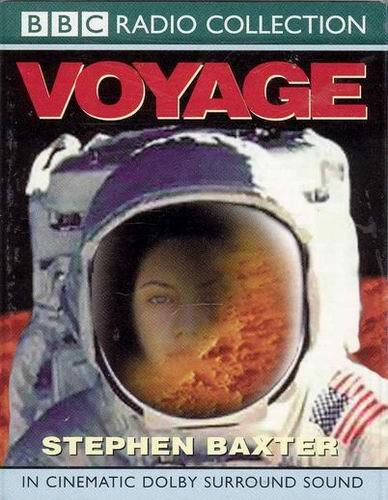 Voyage is a work of alternate history, in which the seed is President John F. Kennedy’s survival of the attempted assassination in Dallas in 1963. The impact of this historical change on the United States Space Program is the focus of the story. In one of the many striking scenes in this audio drama, a wheelchair bound Kennedy joins president Nixon in the Oval Office in sending a message of congratulations to Neil Armstrong and crew during the first moon landing. But Kennedy takes it a little farther than a simple greeting – he challenges humanity to go farther. He challenges NASA to send people to Mars. Nixon at first is appalled, then goes along with the program after an aide tells him the voters love the idea. The story is about the struggle from that point on to send people to Mars, building up to and including the story of Project Ares, which lifts off in 1986 with a three-person crew headed for Mars. Dirk Maggs directed the production which was absolutely first-rate. I put on a pair of headphones and was instantly taken away to this alternate history. I enjoyed every minute of it. 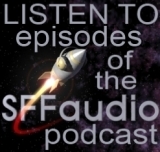 I’d even go so far as to say that it solidified the power of audio drama to my ears – I couldn’t help but to think of the many excellent works of science fiction that could – and SHOULD – be done in this medium. I also agree with the message of the story. It’s a unconscionable that humanity reached the moon 35 years ago and has gone nowhere since. Let’s get on with our own history!